This enquiry is focused on the situation of ordinary artists; it is based on the observation of the trajectories of professional actors in France who have been affected by a prolonged, or even definitive, loss of the right to regular unemployment compensation. The focus is thus on the ordinary disqualification and professional devalorization that occurs in the job market for actors. The cases of these individuals are indeed exemplary of a lack of financial recognition of artistic activity except in the most institutionalized realms of the theatrical space. This phenomenon contributes to a professional destabilization for the actors concerned here, and thus to a deterioration in their working conditions and degradation of their artistic practice. While the job market for theatre actors indeed appears to be flexible and deregulated, publicly-funded jobs, which are ultimately those where salary standards are completely respected, have become rare and coveted situations—lack of access to which tends to determine a form of professional disaffiliation. La présente enquête repose sur l’observation des trajectoires de comédiens dont la carrière a été marquée, en France, d’abord par l’accès régulier à l’assurance chômage, puis par une perte prolongée, voire définitive, de leurs droits à l’indemnisation. Il s’agit de s’intéresser aux situations d’artistes « ordinaires » et, plus précisément, de mettre en évidence le caractère très ordinaire des facteurs de disqualification et de dévalorisation professionnelles sur le marché du travail de comédien. Le cas de ces individus s’avère en effet exemplaire d’un défaut de reconnaissance salariale de l’activité artistique dès lors que l’on s’éloigne des régions les plus institutionnalisées de l’espace théâtral. Ce phénomène participe de la déstabilisation professionnelle des comédiens concernés, de la dégradation de leurs conditions de travail et de l’altération de leur pratique artistique. Si le marché du travail théâtral émerge bien comme flexible et peu régulé, les emplois les mieux financés, et en définitive, les plus respectueux des normes salariales, y apparaissent dès lors comme des situations rares et convoitées, dont l’éloignement implique une forme de désaffiliation professionnelle. Working for free: overtaking the subordination of wage-earners? Are the “normal” working conditions of the profession reserved for an elite? The sociology of artistic practice has heavily drawn on American interactionist sociological theories and methodologies, in a desire to break with the dominant discourse on art that is too often focused exclusively on the great masters and geniuses. Interactionist sociology was itself conceived against the usual praise of the social role of more prestigious professions by functionalist authors, and greatly encouraged researchers to turn their attention to “smaller occupations,” or even socially devalued or stigmatized activities (Demazière & Gadéa 2009; Champy 2009). Following Howard Becker’s example of the careers of “dance musicians” as his chosen object (Becker 1985), many researchers, having studied various artistic professions, have contributed to the desecration of “art worlds” by describing the most mundane tasks and common positions1. A sociological interest in the acting profession which turns away from celebrity and stardom requires an observation of the appropriate social spaces: how can we be sure of reaching “the lower levels of the professional pyramid,” where “ordinary” artists are forced to evolve? (Perrenoud 2013: 86). The various activities of actors need to be examined within highly diverse organisations and heterogeneous artistic sectors. This requires considering the plurality of the professional sphere and the competitive criteria of recognition. Furthermore, paying attention to the “lower” spheres requires some knowledge about how the boundaries that differentiate professional artists from laymen—however anonymous the former—are constructed. This is one of the classic challenges aimed at the sociology of art, specifically concerning the difference between professional and amateur situations (Freidson 1986; Weber & Lamy 1999). But the question is posed somewhat differently for actors in France, who are indeed employed as intermittents du spectacle (entertainment industry contract workers). Like other live or recorded artist employees and show technicians, they operate within a “hyper-flexible” employment market governed by the extensive use of very short-term contracts characteristic of project-based activities. This exception is followed by another: to insure against the discontinuity of their employment, access to unemployment benefits for these individuals operates in their favour, in comparison with workers from other industries (Menger 2011 ). In fact, unemployment benefits have generally become an income supplement, or even a main income (Cardon 2011; Gille 2013) to the point that eligibility for these rights (available for a minimum of 507 hours worked in ten and a half months2) is commonly considered to be a “status” that distinguishes occasional artists from “professionals” (Menger 1997; Sinigaglia 2012; Langeard 2013). This paradoxical configuration which qualifies the unemployment situation is addressed here, by studying the trajectories of individuals who have initially enjoyed a certain amount of professional integration with regular access to unemployment insurance, but who have been affected by the prolonged, even definitive, loss of these rights3. In doing so, we are interested here in the group of “ordinary”4 actors, namely those who are neither rich nor famous, nor involved in the limited spaces of cinema production or peer judgement in theatre. However, these artists have experienced a protean trajectory: not only from momentary job stability to a significant decline in their activity, but furthermore owing to the plasticity of the acting field, alternating relatively respected jobs with less prestigious and marginal positions. As a result, their trajectories have revealed the (dis)qualification factors at work in this domain. Their experiences are indeed widely representative not only of the central position that theatre employment holds in enabling actors to maintain a stable professional situation, but also of the decisive role played by the state at the heart of this sector, which involves implicitly defining the professional positions that warrant the sufficient remuneration and regularity needed to stay in business. Owing to a lack of sufficient access to these rare and coveted resources, the interviewed actors are effectively sentenced to practising an inconsistently paid trade (métier)5, which they deem, on top of this, to be often altered in its content. In the first section of this article, I will describe the interviewed actors’ professional experience in theatre—in which it is common to work in unstable conditions without a regular income. Their case is exemplary of a lack of financial recognition for artistic work as soon as we move away from the more institutionalized realms of the theatrical space. As we will see in the second section, this feature of their jobs has an impact not only on their professional stability but also on the content of their work. Finally, we will see that this distancing from more favourable conditions in the profession continues, for some of those interviewed, into adjacent jobs, which distracts them from their traditional artistic practice(s) and purpose(s). This diversion accompanies the lack of recognition as well as the professional marginality of these jobs, compared with more integrative networks. The sample of twenty-eight individuals interviewed was not established as an a priori representation of the acting population in France. The collection of accounts using an inductive methodology resulted in the exposure of the breadth of the diversity of situations in the job market, whether directly those of the individuals chosen for the study, or those they have solely witnessed. The number of male and female actors in the study is equal. The youngest person interviewed is 28 years old, the oldest is 60. Focusing on the year of entry into the profession and communities of experience related in the interviews, we can group together a first generation born at the beginning of the 1980s, who are around 30 years old (28 to 30: five actors). Another group was born in the mid-1970s, and thus their training years are slightly further behind them (35 to 41: eight actors). These two age groups attained professional status in the 2000s, which is seen as the end of an era deemed to be “easier” by their elders. The latter are around 50 years old (46 to 54: ten actors) or approaching retirement age (from 55 to 60: five actors); their initial trajectory took place in the more comfortable context of the 1980s and 1990s, both in terms of cultural funding and unemployment compensation possibilities. The social origin of the actors interviewed in the study (determined by their father’s socio-professional status) does not deviate significantly from that of other practising actors—at least if we refer to a survey conducted in 1994 (for lack of more recent data) by Pierre-Michel Menger and his team (Menger 1997: 34 and 401). As in the total population of actors, the individuals in our sample mainly have a relatively high social origin: following the French classification of professions and socio-professional categories (PCS) by INSEE [Institut national de la statistique et des études économiques], thirteen (or 46.5%) have a father whose activity falls within the category of managerial and professional occupations, (against 49.5% of the total population of actors). Similarly, there are many sons and daughters of artisans and traders (or similar): six actors (or more than 21.6% against 16.5% of the total population of actors). Five actors have fathers in the “intermediate” professions category (almost 18%, which is equivalent to the data on the total population of actors). Three have working-class fathers (less than 11% compared with 10% of the total population of actors). The father of one actor was a farmer (or 3.5% against 2% of the total population of actors). Finally, none of the actors has a father who was an employee (against 3% of the total population of actors) or without professional activity (0.1% of the total population of actors). There are three interviewed actors whose father was employed in the arts, which is more than the total population of actors (less than 11% against 6%), and among them, one whose father was an actor (3.5% against 2%). The social status of the practising actors starts to deviate from the total population of actors when we observe their mother’s professional activity. Mothers whose activity corresponded to the category of managerial and professional occupations are overrepresented here(eight interviewed actors, or 28.5%, against 19%). Among this group, employment in the arts is also overrepresented (four actors, or 14%, against 4% in the total acting population). Among these jobs, one was an actress (3.5% against 2%). The actors whose mothers fall into the artisans, traders, and company managers category are also relatively high in number (four actors, or 8% of the total population of actors). Also fewer in number are the mothers who were employees (four actors, or 14% against 17%), or unemployed (seven actors, or 25% against 36%). Farmers amongst the group are somewhat overrepresented (1, or 3.5% against 1%). Mothers in the “intermediate occupations” category are equal in both sets of figures (four actors, or 14%). Slightly more than half of the interviewed individuals live in Paris (fourteen) or the Île-de-France region (one). The others live in the following cities: Lyon (seven), Marseille (three), Bordeaux (one), Caen (one), and a village in Normandy (one). It is important to note, however, that two of the Parisians are in an uncertain situation with regards to moving from Paris back to smaller towns where they previously worked. Only seven are originally from Paris, the majority of the others were born in other cities, or, less frequently, smaller towns, and just one was born abroad (in a former French colony). The interviewed actors also have various trajectories in terms of training. Seven are self-taught, but received further training through professional internships. Three trained at a municipal or regional conservatoire and at a foreign institution. Fourteen received training through private theatre classes: among them, five from private schools combined with a local or regional conservatoire, while two followed the Cours Florent Classe libre, which is very prestigious and selective (Katz 2006). Four of them trained at one of the eleven écoles supérieures d’art dramatique permitted to grant the national acting diploma. It is worth noting that none of the interviewed actors was trained within one of the national schools under the Ministry of Culture (the École du Théâtre national de Strasbourg, known as “TNS,” or the Conservatoire national supérieur d’art dramatique, CNSAD): the selection process we used to recruit interviewees did not allow us to contact these individuals. Five individuals from our sample are presently represented by a talent agency, and two have previously worked with agencies. The clear majority (twenty-one actors) have never been in this situation. Three quarters of the individuals interviewed were not receiving unemployment compensation at the time of the interview (twenty-one out of twenty-eight). Three interviewees claim to have stopped relying on the continuation of their professional activity, but it is difficult to determine for certain the impact of these decisions. Seven actors interviewed, however, had regained their rights to unemployment benefits. Among these, the minimum period of non-compensation was five months, and the longest was more than two years. To avoid reducing interviews to an unfruitful and, in many critical situations, impossible exchange of protocol, amounts for actors’ income per annum could not be established with precision, but were calculated approximately. Six individuals responded in a way which was too evasive to be evaluated. The seven people who regained their rights claim to have received an uneven average income in previous years. At the peak of professional activity, this income (including unemployment benefits) ranged from 1,200 to 2,500 euros per month. We could single out the case of one actor who works principally in television, whose annual income varies between 50,000 and 255,000 euros: his professional activity, although prosperous, is not, however, necessarily regular, which is why he was interviewed. Out of the twenty-one actors who had not received their unemployment rights, their income at the peak of their professional activity ranged from 1,000 to 2,000 euros per month. Their situation is in line with the more general income information for intermittent performers and actors in France. In 2011, the global annual median income for intermittent performers was 21,859 euros, or around 1,800 euros per month. The proportion of unemployment benefits is a major part of this global income total. Wages in fact represent less than 49% (Gille 2013: 83‑84). These data correspond to what is specifically known about actors according to the Audiens group database. On a population of actors who received compensation for at least one period in each year between 2009 and 2011, the median wage is 10,000 euros (Katz 2015). The dominant representation of an actor is arguably the movie star. This spontaneous evocation, which derives from a prevalent fascination with actors put in the limelight by mainstream media, does not correspond with the situation of the actors interviewed as part of our investigation. What does this imply, exactly? Firstly, their initial professional integration is the result of regular experience in live performances. Unlike more famous actors, they have only marginal experience in cinema and television. Their career paths therefore illustrate a dominant feature of the employment sector, namely the theatre’s central position in providing a greater quantity of professional activity to actors in general6. This reality is confirmed by data gathered by Audiens on average wages7. While these data do not concern the amount of activity but the total sum of wages, they reveal that, for actors who received unemployment insurance for at least one period each year between 2009 and 2011, the majority of their wages earned through artistic activity was from live performances (around 60%), and this was much higher than that of those actors who were no longer insured in 2011 for want of sufficient professional activity. The latter group has seen a decline of this share over the last three years (44%, 34%, and 30% of wages). Meanwhile, the share of their income from artistic activity in the audiovisual sector has increased. Therefore, live performance appears to be a relative stabilising sector when receiving unemployment benefits. It is therefore unsurprising that almost all the actors interviewed in the study found periods of stable professional employment in this sector. As the “gravitational centre of the employment market,” theatre is at the heart of the networks that organize these actors’ professional exchanges (Menger 1997: 207). While almost no integrated organization8 in France provides permanent jobs in theatre (no more than for cinema or television), professional experience is nevertheless spread out over longer periods of time than in the audiovisual sector. As the interviewees explain, theatre activity implies sustained personal investment and subscribes to a collective experience which often exceeds working hours: meetings with collaborators, communal readings, rehearsals, repeated performances, and even making rearrangements during tours and show times. The communal project representing the development and success of a production is continued by the consolidation of work collectives. While the division of labour between director and actors primarily corresponds to the division between employer and employees, the main stake of collective investment tends to hide these very real positional inequalities (Menger 1997; Lambert 1998; Proust 2003; Bense Ferreira-Alves 2006). Notwithstanding tensions and power struggles that may arise, close affinities are often formed by way of consistent professional engagements: the use of the term “families” highlights the emotional register of these working relationships (Paradeise 1998). A characteristic trait of this economy built on good working relationships is that almost everyone interviewed admitted to having worked without being paid at some point, following a trend of “professional friendships,” in the words of one actress. Certainly, the portion of unpaid work varies depending on the actor, their networks, the nature of their work, and the professional sector. But this phenomenon, with its diverse interpretations (Pilmis 2012; Cardon & Pilmis 2013; Grégoire 2013), deserves to be highlighted once more. Non- or partial payment for rehearsals, volunteer contributions in technical or logistic operations, collective sharing of takings, or totally investing one’s time freely in a project in the hope of later payment correspond to denying employment rights for tasks and technical operations explicitly planned by various collective conventions put in place9. Many of the actors interviewed have accepted such an unpaid commitment. The primary motivations are out of love for a production, an affinity with project leaders, or belonging to a collective work group. Justification for unpaid work seems to correspond to a vocational rhetoric that rejects the importance of financial gain and affirms the free price tag of artistic work against the commercial constraints or the routine of wage labour (Bourdieu 1971; Sapiro 2007). However, if we observe the interviews on this issue in greater depth, we can see that artistic and material interests are never completely opposed. Actors must sustain their professional position within networks where their artistic aspirations are likely to be met. In this way, disinterested involvement in a project turns out to be free only in the short term. This form of professional engagement seems to be like betting on one’s professional future, with all the obvious financial implications resounding loudly. Unpaid work is construed as an investment that must provide financial return within a relatively short period of time—the prospect of income, the hope of a bid for a theatre show, bets on the network of young directors deemed as promising, and so on (Pilmis 2012; Cardon & Pilmis 2013). Moreover, unemployment payments are commonly used to cover the risk taken10. This last factor illustrates the exceptional character of the entertainment industry (Menger 2011 ). It also attests to the influence of wage institutions on the regulation of artistic activity, which Mathieu Grégoire retraces well (Grégoire 2013). Building upon Bernard Friot’s arguments (Friot 1998), Grégoire sees this extended use of social wages by intermittent artists as a kind of counter-force. The distinction of the discontinuity between contracts and the specific unemployment benefits regime (which introduces disparity between job, work, and pay) would give artists the freedom to define their own investments, if necessary, by choosing to exceed paid employment11. – You couldn’t just do these kinds of things, though, could you? The unemployment insurance system specifically for intermittent artists undeniably provides these actors with a certain degree of autonomy. It gives them an opportunity to temporarily invest in projects that are poorly paid or indeed unpaid. But these examples also show that the efficiency of this system largely depends on the quality of jobs which allow access to it. It is important to note the special characteristics of these jobs, which, to use the expressions cited, have allowed these actors to stay “in the circuit” without finding themselves suddenly “broke.” What guarantees them professional stability—which would otherwise be very hard to attain—is integration into jobs supported by central and sufficiently funded structures with well-regulated salaries (here, a municipal theatre in Paris or a centre dramatique national in a major city). For such artists, being excluded from these types of job ultimately means losing their unemployment benefit rights. The heterogeneity of the experiences reported during interviews shows that these actors’ activity—and beyond that, that of intermittent artists in general—cannot be dealt with in the same way considering the flexible nature of the activity and the specific socialisation process of professional risk. The specificity of regularly held jobs must be considered: the uneven propensity of employer organizations to fully respect salary standards strongly determines access to unemployment compensation. The autonomy sought by employees thanks to social protection rights comes as part of employment contracts, whether or not they have intermittent status. This is one of the multiple dimensions of the unequal statutory recognition of jobs in the employment market (Rose 2012). Most actors interviewed in the sample perceive the differences between professional spaces, and even their hierarchical situations, very well. Not only do they know how to define their own position, but they can also evaluate themselves in relation to their distance from the networks of théâtres nationaux and CDNs, or—for those least integrated into the labour market—from government subsidies. In this light, they rightly hold their initial training programmes as the main reason for their exclusion or their imperfect integration into the “subsidized theatre family.” None of the interviewees is employed at a théâtre national, nor had any attended the Conservatoire national supérieur d’art dramatique (CNSAD) in Paris or the École supérieure d’art dramatique of the Théâtre national de Strasbourg (TNS)—which are considered to be the privileged pathways to the “greatest directors” (Katz 2005; Thibault 2015). But, interestingly, among the actors who were interviewed, five aged around thirty who were trained at a higher institution or in the Cours Florent Classe libre (see “Characteristics of the Actors Interviewed” box) were employed in well-financed theatre productions and organizations more often than their colleagues who were self-taught or trained in municipal conservatories and on private courses. Within the public theatre and subsidized companies network, their initial career paths fit into a more legitimate and selective professional universe than that of their colleagues working for minimally subsidized companies, café-theatres, or private theatres. Their previous career paths illustrate the advantage in entering the field that young actors receive from attending a higher institution (CESTA 2005; Thibault 2015). First of all, their professional experiences begin favourably thanks to the support of teachers who are also active in the CDN network. However, the professional fabric construed in these schools appears to be more fragile than that available to former students of the only two national institutions which are run by the Ministry of Culture (the CNSAD and the TNS), insofar as the latter receive government subsidies after their training15. Thus, after a promising start, the actors interviewed suffered a gradual slowing of their career progression. After a few years—their careers having taken off in the local area—struggled to evolve to the national level. While, at the same time, provincial CDNs have increasingly welcomed actors from the prestigious national schools. This leaves them faced with the difficult choice between moving to Paris—with the uncertain objective of developing new professional relationships—and pursuing their professional activity in the provinces with local theatre groups despite less advantageous, or even precarious, financial conditions. Some even think about giving up the acting profession. This despondency is obviously fuelled by the loss of their unemployment benefits, which is experienced as a failure. Working with “smaller companies which are barely able to support themselves financially via their productions” is equivalent to “discovering a new world,” in the words of a young actress accustomed to employment conditions in public theatres16. She had never rehearsed without being paid until then. Her case shows that “predispositions towards self-sacrifice” vary according to the resources available to actors and even more so according to the professional contexts that they end up experiencing (Sorignet 2014). As Serge Proust writes, “the most professional and rationalised division of public theatre (i.e., théâtres nationaux and CDNs)” could thus be a “testbed” for the ideal of the theatre troop, and for the values of self-denial that this supposes (Proust 2003: 110‑111). Is the shift away from artistic asceticism then only characteristic, of a minority of artists trained in higher institutions? Having experienced “preferable” working conditions, these young actors become acquainted with the gap between the “elitist” perception of the job and the ordinary conditions of the profession in practice, defined by an attitude of “getting by,” and employment instability of the profession17. Without attempting to impose a mechanical relationship, we can establish a link between respondents’ career paths which fall within those structures most respectful of conventional standards, and their critique of working conditions in smaller companies, or even their identification with the wage system and its rights. On the other hand, individuals who have never worked at a CDN or other institutional theatres are more rarely capable of identifying infringements of salary standards, and therefore denounce it less often as such. It is therefore significant that the stance of selflessness is an even more noticeable trait amongst actors at the less stable end of the theatre employment market. Individuals who are more familiar with professional insecurity are more likely to find ethical justifications for their situation; in other words, they find a “rational principle to cope [...] with the uncertainty of life as an artist” (Laillier 2011: 494). This interpretation also applies to the transitional position of older actors, whose period of professional initiation within theatre companies took place in the 1980s and 1990s (the “golden age of the Lang years18’). This group appears to tolerate working for free on collective projects more than colleagues who have completed more recognized and longer periods of training: but it is also often for want of anything better. When they had the possibility of trying out the security of working for a public institution, they determined the situation as completely respectful of “normal” working conditions, despite being often seen as privileged. (Sophie J., 50 years old, actress, lives in Paris, trained in the municipal conservatory and Parisian private classes. About to regain unemployment rights in May 2012 after a six-month deferral period). The lack of financial resources of the organizations the interviewees work for requires an increased effort in order to overcome the material issues they face. From organizing rehearsals at home, through technical operations that need to be taken care of because of a lack of technicians, to costumes that need adjusting—versatility at work, although synonymous with troop team spirit and enthusiasm, is often described as a source of dispersion and fatigue. This actress’s observation contains the contradictions prevalent in the acting sector and the common representations that trigger them. Is art indeed dependent on socially determined working conditions? Can an amateur actor’s performance surpass that of a declared professional? It is ultimately because they are bound to the same non-regulated situations that one is “not at all bad” while the other is cutting corners on the “quality” of his or her work. Ultimately, it is amateur job conditions (‘this isn’t serious at all!’) that force actors away from any sense of professionalism: conditions that are ignorant of both the financial value of actors and the minimal technical requirements of the job. The feeling of detachment from their trade expressed by some of the actors concerned does not boil down to the sudden moment when the loss of unemployment benefits, a major source of income, extinguishes the last sign of their professional identity. In fact, their professional disaffiliation begins well before. It manifests itself in undervalued jobs in which they notice the degradation in their artistic practice. This can be seen in the resort to jobs that are loosely related to traditional acting roles, but which cannot be said to be unconnected to the profession without creating problems with its definition. The approval of several of these activities in appendix 10 of unemployment insurance as being related to the “performance artist” trade does not prevent some interviewees from viewing them as a diversion from their original aspirations. The alienation described by most of the interviewees is therefore not due to doing “odd jobs” that are far removed from the typical skillset of the actor, that is to say, a sort of unintended professional poly-activity20. It is, on the contrary, the resemblance of such jobs that pay the bills to their artistic practice which instigates these actors’ feel critical towards. It is for this reason that some distance themselves from such a form of “pluriactivity,” and devote their time to bread-and-butter work that is clearly defined as such. We cannot, however, put these adjacent activities on an equal footing, if only because of the difference in skills they require. Some of these activities are described as requiring no experience or previous entry into the art of acting: being a film extra, being employed as a living statue at the Grevin Museum, playing costumed roles in amusement parks, or dressing up as Santa Claus for department stores. Others appear to require artistic skills, but in a rather routine capacity: providing entertainment at Paris’s fairground museum, performing as a clown at Marineland, performing at children’s after-school snack times, or working a management event. Finally, some activities require techniques that are entirely theatrical, but which depart from their original purpose. The same goes for teaching, sometimes taking the form of sociocultural intervention for “disadvantaged” publics, or dramatic representations of managerial issues in businesses (corporate roleplay). Various subjective relationships to these different jobs ensue. The activities described as needing the least skills are unanimously criticized for the sense of personal depreciation they cause. On the other hand, teaching and sociocultural work—and corporate roleplay even more so—stir up more positive reactions. Corporate roleplay work is more openly utilitarian than involvement in teaching or working as an activity group leader. For those who are employed in this area, it is similar to a kind of “mercenary art,” far from the requirements of “pure art” to which they would prefer to dedicate their time (Mauger 2006). But the fact that the interviewees do not focus on these negative features is therefore significant. Their statements reveal the “artisanal” conception of the acting profession to which not only those employed in this area, but also the interviewees in general are attached. The mercenary pressure in fact only applies in this kind of production to the scenarios which the actors who have been hired must act out, since they are required to stage managerial concerns as dictated to them. These restricted conditions define a narrow but nevertheless independent scope within which to employ their skills. One actress, for example, compares this practice to “doing exercises” or “a dancer’s bar,” which enabled her to develop her memory and speed, which she later reinvested elsewhere (in this case at the Commedia dell’arte). This workspace is also an opportunity to move beyond professional and aesthetic divides and, moreover, to share a common craft amongst actors without intervention from a director (Moulin 1983; Perrenoud 2013). Insofar as this type of activity—at least for the actors interviewed here—gives value to their skills and provides them with a satisfactory salary, it appears to be an exception amongst most undervalued jobs used by actors to compensate for the decrease in unemployment benefits. We can therefore see, thanks to this last example, that the value given to additional or related jobs by actors depends largely on the content of the work assigned. Our interview respondents accept or reject the relative assimilation of these activities to the profession depending on the degree of similarity between the technical operations the activities solicit and those required by acting “on the stage23.” Indeed, the categories of unemployment insurance contradict this restrictive conception by its own definition of unemployment beneficiaries. In the context of unstable employment conditions, this institutional approval is part of a simultaneous redefinition of the professional field (Bureau & Shapiro 2009), referred to by some interviewees as intermittence24. But even in this context, the interviewed actors remain attached to a technical notion of their trade. This cannot be explained by adherence to a simple “nominal construction” of pluriactivity (Becker 2009), which would separate legitimate activity (their “job”) and stigmatized activities (their adjacent activities)—unless we reduce the whole of human reality to the level of its discursive representations25. This technical qualification of the job is due to the very practical process of the transmission of theatrical expertise within the training institutions that most of the actors have attended (Menger 1997)26. This job has an effective content that is continually renewed and rebuilt during the phases of rehearsal and interpretation, and particularly within the most integrated segments of the employment market, towards which all the actors interviewed remain polarized27. These secondary activities thus divert the actor’s art away from its classical technical aims—artistic representation. Similarly, such activities are far removed from actors’ traditional collaborators and recruiters. These professional spaces can therefore certainly constitute places of sociability and support for artists in difficulty (Menger 2011 ), but the professional marginality of such spaces means that effective meetings between the two are rare. Extras for television or cinema, for example, are at the centre of some of the support networks of the actors interviewed. However, they are classed in this context as “living scenery” (Sigalo Santos 2014), and do not gain access to the important intermediaries by this route. Similarly, you can “meet wonderful people” doing corporate roleplay work, according to some of the interviewees—but these will be other actors, rather than the directors who are likely to recruit them. This negative characteristic harbours an extra dimension. Since the actors are no longer developing within a context of artistic creation likely to promote them in the eyes of recruiters, the “invisible work” that they say they must do in order to “sell themselves” fiercely increases. While the more legitimate theatre jobs guarantee a visibility which builds actors’ reputations and professional interpersonal skills, to the benefit of artistic work itself, the effort of keeping an eye out for other opportunities is even less effective for actors evolving in illegitimate spaces, outside of integrationist networks. The interviewed actors have difficulty in identifying this mechanism and often feel a sense of personal failure as a result. (Céline B., 29 years old, lives in Paris, trained at the École nationale supérieure d’art dramatique in Montpellier. Excluded from unemployment benefits for one and a half years from January 2012). Knowing “how to get noticed and sell yourself,” as this actress puts it, is a “para-professional” skill (Pilmis 2007a) that an employee must be able to use—especially within a flexible employment market—when he or she has not (or not yet) made enough professional connections to regular employers. Placing oneself and making oneself available, while also coordinating and sifting through potential job opportunities, thus resembles an individual response to the outsourcing of management skills and the risk of workforce obsolescence. Yet, as analysed by Pierre-Michel Menger, it is above all professional networks that, at the collective level, “facilitate recruitment by co-option and the identification of skills based on individual reputations” (Menger 2011: 46‑47). They emerge as the “stable elements that are the necessary counterpart to [this] permanent search for flexibility and fixed-costs reduction.” They thus constitute “structuring mechanisms of interpersonal relations which take place at the crossroads of a type of short-term relationship—quickly forgotten and constantly changing—and the potential organization within a company or a professional group that is formally closed on itself” (Menger 2011: 46‑47). The inequalities present between those who find themselves at the centre of the most tightly knit interpersonal acquaintances, and those who are excluded from such relations correspond precisely to the unequal access to this organizational resource provided by networks. Those who are situated within the most undervalued professional sections must therefore make up for it individually, and do so with difficulty, since they lack resources. The jobs that are indirectly related to the profession are therefore doubly unrewarding: since they are designed to be unfulfilling, they do not allow the actors concerned to evolve beyond a limited and barely legitimate working space. The sense of identity dispersion they cause is therefore intensified by a lack of professional affirmation in the workspace. It is not uncommon that some interviewed actors claim to have abandoned such temporary solutions, or evoke their intention to do so, even if this means giving up the right to unemployment compensation. Accessing the intermittent performer status—in other words, unemployment compensation—in fact hides a disparity between levels of professional integration among actors. From this perspective, the loss of these rights is the culmination of a degradation in employment and working conditions experienced a long time before. Focusing on the process of professional disaffiliation—thanks to the heterogeneity of the trajectories considered here—leads us to reveal the conflicting principles of stabilization and disqualification at work in the labour market of the acting profession. In this evidently flexible and under-regulated market, publicly-funded positions and, ultimately, those that best respect salary standard, have therefore become rare and coveted. 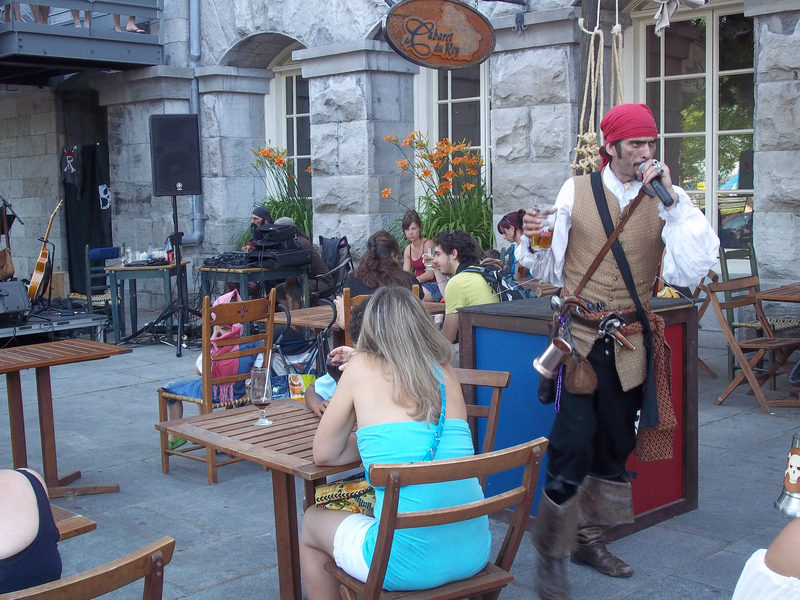 In this light, public theatre jobs ensure not only a regular number of jobs and insurance contributions, but also favourable working conditions. It is the fact of access—or lack of—to such jobs, which thus explains the inequalities between levels of support for actors in the profession. Yet, the acting trade must be understood from two complementary perspectives: on the one hand, as a work community in which actors can use their skills and gain recognition; and on the other hand, as the technical skillset of the work, which can be realized within specific material conditions. Studying the situation of actors excluded from unemployment compensation thus illustrates their very limited access to the changing forms of the job which stem from extremely flexible working conditions. They thus remain constrained to a form of employment and professional practice they have scarcely been prepared for. It is therefore possible that the conditions of regulation of the labour market mean that the art of acting, as learned in schools, is the reserve of a minority of qualified, socially and professionally well-connected employees. It would appear, however, that the conversion of the rest to positions of little recognition rarely occurs with their consent. 4 I borrow this term and its definition from Marc Perrenoud (2007) and Jérémy Sinigaglia (2013) and adapt it to the acting profession. 6 The total amount of work in theatres represents 75% of the total amount of work declared by actors (Menger 1997: 207). 13 The École nationale supérieure des arts et techniques du théâtre in Lyon. 16 Céline B., see below. 17 I quote a manager specialized in “professional coaching” for actors, who described former students of higher institutions under these terms. 23 Regarding the reference to the theatre stage as a criterium for valued work, see also Rolle & Moeschler, 2014. Becker Howard S. (1963). Outsiders: Studies in the Sociology of Deviance. New York, The Free Press of Glencoe. Becker Howard S. (2009). “Préface.” In Bureau Marie-Christine, Perrenoud Marc, Shapiro Roberta (eds. ), L’Artiste pluriel. Démultiplier l’activité pour vivre de son art. Villeneuve d’Ascq, Presses Universitaires du Septentrion: 13‑16. Bureau Marie-Christine & Shapiro Roberta (2009). “Et à part ça, vous faites quoi? Introduction.” In Bureau Marie-Christine, Perrenoud Marc, Shapiro Roberta (eds. ), L’Artiste pluriel. Démultiplier l’activité pour vivre de son art. Villeneuve d’Ascq, Presses Universitaires du Septentrion: 17‑34. Cardon Vincent (2011). Une vie à l’affiche. Sociologie du vieillissement en emploi des artistes interprètes (PhD dissertation, Sociology). Paris, EHESS. Cardon Vincent (2016). “Produire ‘l’évidence’.” Le travail d’appariement et de recrutement dans le monde du cinéma”. Sociologie du travail, 58(2): 160‑180. Cardon Vincent & Pilmis Olivier (2013). “Des projets à la carrière. Les artistes interprètes et leurs anticipations des contreparties du travail, une perspective biographique.” Sociétés contemporaines, 91: 43-65. Demazière Didier & Gadéa Charles (eds.) (2009). Sociologie des groupes professionnels. Acquis récents et nouveaux défis. Paris, La Découverte. Freidson Eliot (1986). “Les professions artistiques comme défi à l’analyse sociologique.” Revue française de sociologie, 27(3): 431‑443. Gille Jean-Patrick (2013). Les Conditions d’emploi dans les métiers artistiques: rapport d’information déposé en application de l’article 145 du Règlement par la Mission d’Information commune en conclusion des travaux de la mission sur les conditions d’emploi dans les métiers artistiques. Paris, Assemblée nationale. Jeanpierre Laurent (2012). 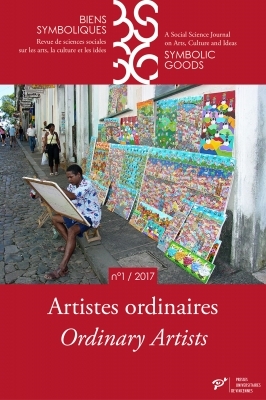 “De l’origine des inégalités dans les arts.” Revue française de sociologie, 53(1): 95‑115. Katz Serge (2005). Les Écoles du comédien face au “métier.” Recrutements professionnels, classements scolaires, techniques du corps. Une comparaison franco-allemande (PhD dissertation, Sociology). Paris, EHESS. Katz Serge (2006). “Quand savoir faire c’est savoir être. L’élève comédien à l’épreuve de la perception professionnelle de son corps.” In Mauger Gérard (ed. ), L’Accès à la vie d’artiste. Sélection et consécration artistiques. Bellecombe-en Bauges, Le Croquant: 49‑70. Katz Serge (2008). “Jouer sur les mots. Langage et apprentissage théâtral en France et en Allemagne.” Ethnologie française, 38(1): 39‑48. Laillier Joël (2011). “La dynamique de la vocation: les évolutions de la rationalisation de l’engagement au travail des danseurs de ballet.” Sociologie du travail, 53(4): 493‑514. Lambert Benoît (1998). “Le metteur en scène et la peau de ses comédiens.” Sociétés et représentations, 6: 465‑483. Mauger Gérard (2006). “Les arts du spectacle. Introduction.” In Mauger Gérard (ed. ), L’Accès à la vie d’artiste. Bellecombe-en-Bauges, Le Croquant: 5‑11. Moulin Raymonde (1983). “De l’artisan au professionnel: l’artiste.” Sociologie du travail, 25(4): 388‑403. Perrenoud Marc (2013). “Prendre au sérieux l’artisanat musical. Utilité, reproductibilité, prestation de service.” In Perrenoud Marc (ed. ), Les Mondes pluriels de Howard S. Becker. Travail sociologique et sociologie du travail. Paris, La Découverte: 85‑98. Pilmis Olivier (2007a). “Compétences professionnelles et compétences para-professionnelles sur le marché du travail: les journalistes pigistes et le ‘placement de sujet’.” Formation et Emploi, 99: 75‑87. Pilmis Olivier (2007b). “Des ‘employeurs multiples’ au ‘noyau dur’ d’employeurs: les relations de travail des comédiens intermittents et la concurrence sur le marché.” Sociologie du travail, 49(3): 297‑315. Pilmis Olivier (2012). “Le professionnalisme comme engagement sur le marché du travail. Le bénévolat des comédiens intermittents.” In Bercot Régine, Divay Sophie, Gadéa Charles (eds. ), Les Groupes professionnels en tension. Frontières, tournants, régulations. Toulouse, Octarès: 43‑55. Piotet Françoise (2002). “Introduction.” In Piotet Françoise (ed. ), La Révolution des métiers. Paris, Presses Universitaires de France: 1‑19. Proust Serge (2001). “Une nouvelle figure de l’artiste: le metteur en scène de théâtre.” Sociologie du Travail, 43(4): 471‑489. Proust Serge (2003). “La communauté théâtrale: entreprises théâtrales et idéal de la troupe.” Revue française de sociologie, 44(1): 93‑113. Proust Serge (2009). “La pluriactivité dans une économie administrée: le théâtre public.” In Bureau Marie-Christine, Perrenoud Marc, Shapiro Roberta (eds. ), L’Artiste pluriel. Démultiplier l’activité pour vivre de son art. Villeneuve d’Ascq, Presses Universitaires du Septentrion: 95‑107. Rose José (2012). Qu’est-ce que le travail non qualifié?. Paris, La Dispute. Sapiro Gisèle (2007). “La vocation artistique entre don et don de soi.” Actes de la recherche en sciences sociales, 168: 4‑11. Schotté Manuel (2013). “Le don, le génie et le talent. Critique de l’approche de Pierre-Michel Menger.” Genèses, 93: 144‑164. Sigalo Santos Luc (2014). “Le recrutement des figurants de l’audiovisuel. L’ANPE Spectacle, un intermédiaire public sur le marché des images.” Revue française de socio-économie, 14(2): 15‑39. Sinigaglia Jérémy (2013). “Le bonheur comme rétribution du travail artistique. De l’injonction à l’incorporation d’une norme.” Sociétés contemporaines, 91: 17‑42. Sorignet Pierre-Emmanuel (2014). “Norme professionnelle et légitimité de la violence. Le cas des danseurs.” Déviance et Société, 38(2): 227‑250. Thibault Adrien (2015). “Être ou ne pas être: la genèse de la consécration théâtrale ou la constitution primitive du talent.” Sociologie et sociétés, 47(2): 87‑111. Urrutiaguer Daniel & Henry Philippe, with Duchêne Cyril (2011). Territoires et ressources des compagnies en France. Paris, DEPS, Ministère de la Culture. Weber Florence & Lamy Yvon (1999). “Amateurs et professionnels.” Genèses, 36: 2‑5. 1 I would like to thank Géraldine Bois and Marc Perrenoud, as well as the anonymous reviewers for their careful reading of my text. Any errors and imperfections that may remain are of course my own. 2 These criteria apply to artists (the assessment period for technicians is ten months), and have been valid since the 2003 unemployment insurance reform to intermittent performer status. The agreement reached on 28 April 2016 between trade unions and employers in the entertainment industry resulted in restoration of the annual assessment and previous benefits framework from 1 August 2016. 3 In addition to previous research on professionalization in the acting business, around forty interviews were held in this survey between January 2012 and June 2013: twenty-eight of these were conducted with actors who were excluded from unemployment benefits (having been entitled to them for more than three years, excluded for at least four consecutive months—see section on the characteristics of the interviewed actors), as well as interviews with professional intermediaries (fourteen). The survey is also based on quantitative data provided by Audiens, a social welfare group for employees in the cultural sector, communications, and the media. It was supported by the Union des Artistes and the Fonds de professionnalisation et de solidarité des artistes et techniciens du spectacle (a solidarity fund for entertainment artists and technicians). This gave rise to the publication of a book (Katz 2015). 5 The French term métier is polysemous. Synonymous in everyday language with professional occupation, it designates first and foremost both an artisanal practice, requiring a learning process, and the relevant professional community. As elsewhere, this “patrimonial [conception] serves as a support for a critical reading scheme of the work and the production order in a market economy” (Piotet 2002: 5). This term is in support of the identity defence of a technical requirement ignored by certain job configurations that are deemed to be downgraded (see also Champy on this aspect, 2009: 100‑102). 7 In the context of management, since 2003, Audiens has received nominative salary declarations of the supplementary pension of professionals in the audiovisual, communications, media, and entertainment sectors. 8 The Comédie-Française remains to this day the only theatre in France with permanent artistic staff. The question of permanent jobs for actors in French theatres (like the German example [Katz 2005; Verdalle (de) 2006]) is a claim that arose in an agreement on 26 May 2003 between the Syndicat des entreprises artistiques et culturelles and all the employee trade unions, but did not achieve tangible results. This issue is also regularly reinstated by certain directors active in national theatres [théâtres nationaux and centres dramatiques nationaux]—such as Christian Schiaretti, who initiated the creation of a theatre company into the Théâtre national populaire de Villeurbanne several years ago. 9 Analysing these tasks and operational techniques as “invisible” work therefore participates in making the legal standards more invisible, where their application and existence are precisely a divisive issue in defining paid work (Corsani & Lazzarato 2008: 92). 10 Unemployment benefits in show business generally represent a financial supplement of 20% of company budgets—according to collected statistics and data from Unédic the association in charge of the management of unemployment insurance in France (Urrutiaguer, Henry, Duchêne 2011). 11 However, such a model is theorized from the more generous compensation conditions dating from before the 2003 reform. For further information on this question, see Langeard 2013. 12 The théâtres nationaux, centre dramatiques nationaux (national drama centres, CDNs), centres dramatiques régionaux (regional drama centres, CDRs), and scènes nationales (public theatres) make up the main network of public theatres in France which are entirely or partially funded by the state. Other structures, including some municipal theatres, receive public funding—subsidies from the Ministry of Culture, among other institutions. In 2011, the four théâtres nationaux received a total of just under 60 million euros in Ministry of Culture subsidies, and were 28% funded from their own resources. The thirty-nine CDRs and CDNs received 60.9 million euros in state funding – 56% of their budget (28% came from municipalities, 9% from the region, and 7% from the department). Finally, the sixty-nine scènes nationales received state funding of up to 24% (less than 10 million euros). Their funding otherwise comes from cities and urban communities (34%), departments (9%), regions (7%), other sources of aid (1%), and their own revenue (25%) (source: Culture and Communication Ministry statistics 2013). 14 For the “full months,” the actors concerned declare an approximate income of 2,500 to 3,000 euros from their jobs in the public sector. The difference between wages and unemployment compensation is, however, difficult to distinguish retrospectively in the interviews—the sums referred to therefore concern their total income. 15 Since 1971, the Jeune théâtre national (JTN), a scheme which gives career support to CNSAD and TNS alumni, has offered young actors funding for selected professional projects for three years following their professional training. In recent years, actors from other higher institutions (not under the supervision of the Ministry of Culture) also started to receive similar funding opportunities, although those remain more peripheral, since they take place outside of Paris, unlike the JTN. In any case, the actors interviewed for this survey were unable to benefit from such opportunities, which were still in negotiation when they finished their training. As a result, during the interviews, they speak about the unfair competition from CNSAD and TNS alumni, supported by the JTN system. 18 The expression the “Lang years” comes from the name of Culture minister Jack Lang, who held this post between 1981 and 1986, and then between 1988 and 1992. This period saw easier access to unemployment benefits and considerable investment into the arts, and was halted by the application of the 2003 reform. 19 Forty years old, self-taught, lives in the region of Lyon. She was excluded from unemployment benefits for four months, and was accepted in March 2013. The same occurred between 1997 and 2002. 20 I refer here to the distinction made by Janine Rannou and Ionela Roharik between professional poly-activity (focusing on several jobs from separate professional fields) and pluriactivity (focusing on several activities within the same professional field) (Rannou & Roharik 2006). 21 Since the 2003 reform, recognition of teaching activities with regards to unemployment compensation for “intermittent performers” is limited to 55 or 90 hours for 50+ year olds (the upper limit was, however, raised from 1 August 2016 to 70‑120 hours for the over 50s in view of the agreement of 28 April 2016 and its endorsement on 23 May 2016). The sociocultural interventions must be linked to a show, which is defined as the intended goal of the representation of an artist before an audience. This rule is subject to multiple diversions, to which certain interviewees testify on their behalf or that of their colleagues. 22 Fifty-four years old, self-taught actor, received unemployment compensation in May 2012, has had “several lull periods,” one of six months in 2008. Lives in the Paris region. 24 Only one actress amongst those interviewed (Christine B., see above) resolutely lays claim to this categorization of adjacent activities as jobs within her “field,” calling for an extension of the field to be considered in the Unédic appendix 10. But it is above all for her a question of having, owing to a lack of funds, another source of income as well as her theatre work, which clearly remains her main activity. 25 This raises the criticism of an interactionist notion of professional practices, which wouldn’t be recognized as “real work”—except of course at the level of collective representations and beliefs (Champy 2009: 24). 26 With this in mind, we can consider Serge Proust’s observation that socialization that occurs during schools for actors—which is purely theatrical—is unsuited to secondary activities, especially social and cultural activities that are more and more recommended by local financiers of companies (Proust, 2009). 27 Significantly, amongst the self-taught actors interviewed here, the desire to be educated (specifically due to professional placements) corresponds just as much to their wish to acquire traditional acting skills as to the search for a relatively stable professional situation in the theatrical field.